The sun is kind of shining, now and again, up here in the North East, so I thought I'd celebrate with a Summer Sale! 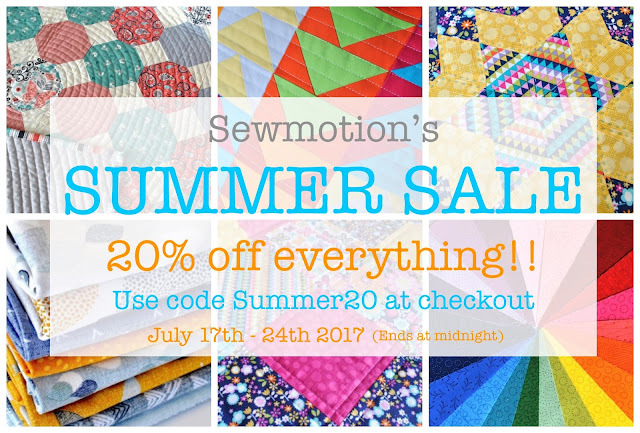 Simply use the code SUMMER20 at checkout to get 20% off everything across the store, including quilt and cushion kits, fabrics, pre-cuts and patterns or what about a backing for that previously bought quilt kit? Talking of fabrics, I've also just listed some new designer fabrics in the shop, available by the metre. 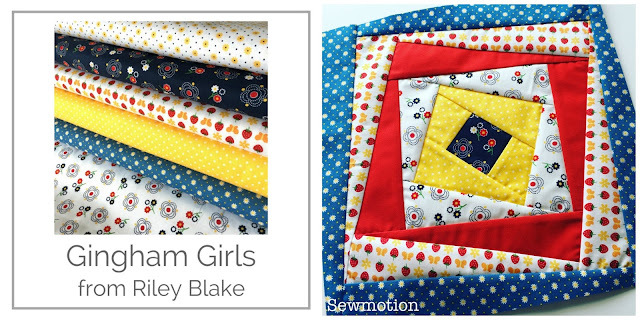 When I buy these fabrics, I have great intentions of making quilt and cushion kits in all of them, but time is catching up on me, so rather than have them sit on the shelf staring at me, I thought I would share some fabric joy. 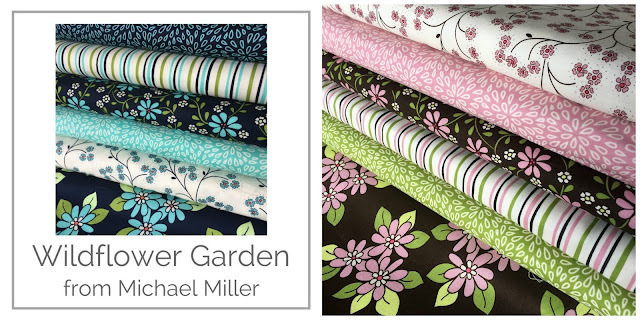 This first range, Wildflower Garden from Michael Miller comes in two colourways, and I know they would both make beautiful quilts, I thought my Mosaic Garden design would be perfect, it's on the list! 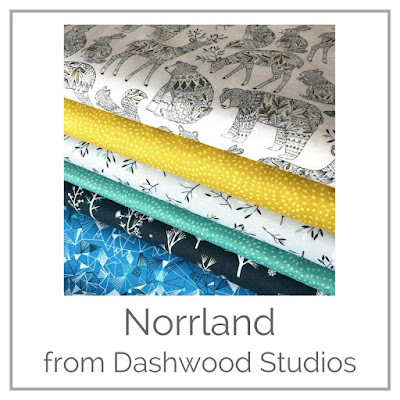 Finally I've also listed the latest gorgeous collection from British company Dashwood Studios, Norrland is Bethan Janine's Winter collection and features her signature woodland creatures and gold metallic accent. I've also been using this in another mag project, and those animals are great for fussy-cut EPP! 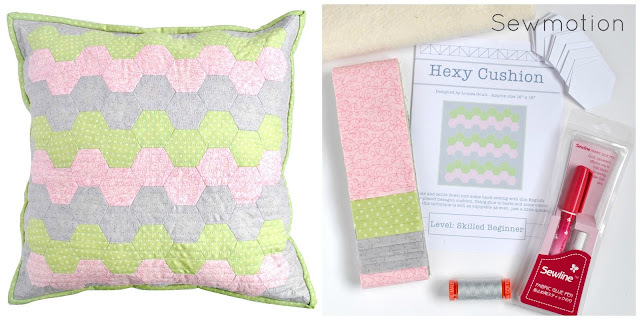 For July's free pattern for my Newsletter subscribers, I decided to go for a little foundation piecing... 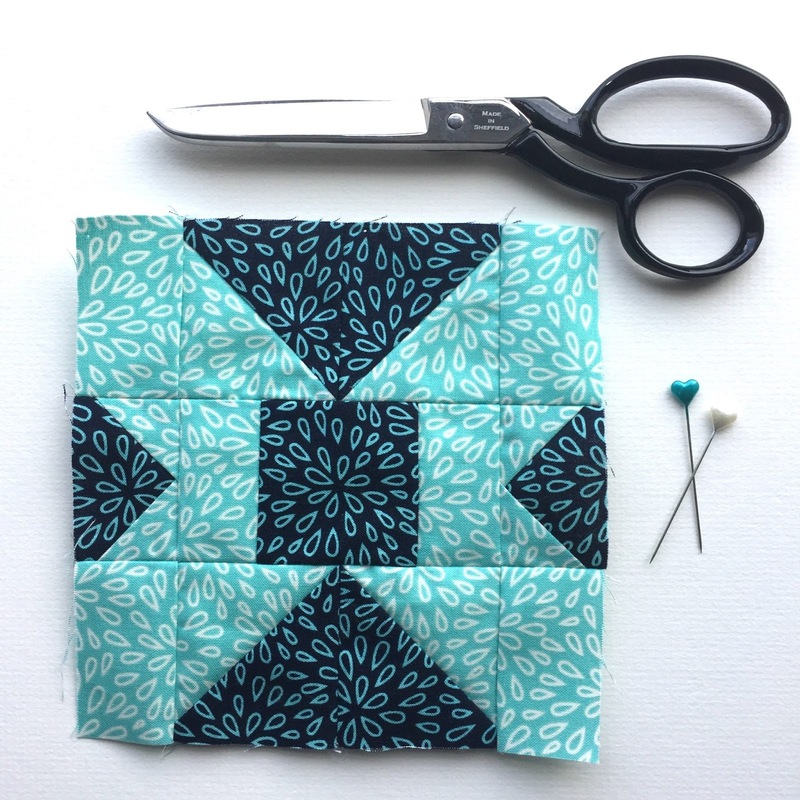 I know this technique is daunting to some, it took me a while to get my head around it, but with some nifty tools and tricks the technique I use with the simple Economy Block is a good introduction, and great to use with fat quarters. 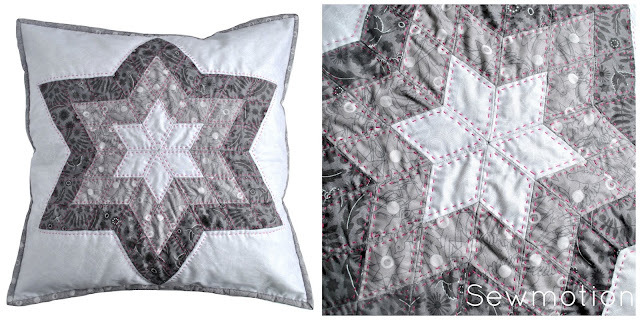 This lap quilt finishes at approx. 42" x 48" and features these gorgeous Confetti fabrics from Dashwood Studios - there's even a fussy-cut block in the centres! 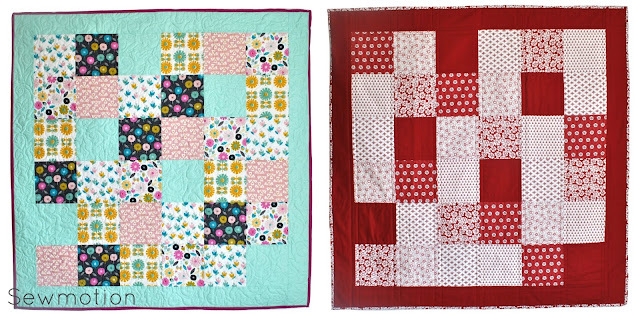 Unfortunately due to really crap dull 'summer' weather I haven't been able to take any decent shots of the whole quilt... hopefully tomorrow! If you would like this free pattern, just subscribe to the Newsletter - you'll get a pattern based on my love of pre-cuts every month, plus access to previous patterns, and it's all absolutely free! Click here to sign-up. I've finally had some more grey fabric back in stock, so the backing pack for my All Squared Up quilt in Alison Glass's Sun Prints is back on the website - I luuurrve a pieced backing!